In my trial period at LunaNL I redesigned their old games, and give them a fresh look. These games where prefab and I had to make them more interesting. 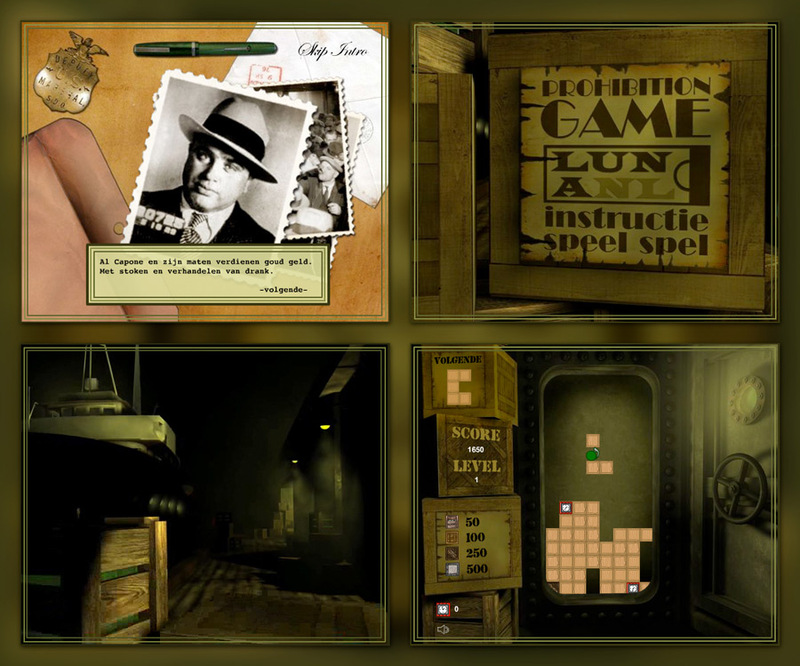 Seeing the intro for this game you will expect a nice 3d action game situated in the roaring twenties. The last thing you would expect is a Tetris game. Well that what it is, a Tetris game in the prohibition decade.